The best way to determine if Vieth Consulting's MemberLeap is a perfect fit for your association is to explore our 'back-end' Members Area. 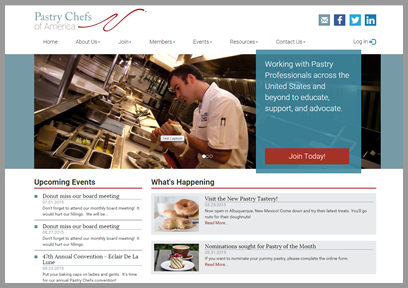 We have set up a fictional association demonstration website- Pastry Chefs of America. We will give you access to Log In as both a member and an admin, so you can see how our MemberLeap works for each user level. To access our demonstration area, please fill out the following form and click on Submit. How long has your organization been established?